Dr. Andres Pinto, Vice President of AAOM, has been named assistant dean of graduate studies at School of Dental Medicine. 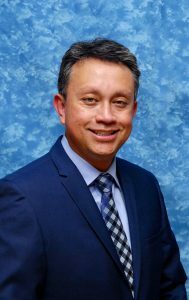 Dean Kenneth Chance of the School of Dental Medicine has named Andres Pinto, chair and professor in the Department of Oral and Maxillofacial Medicine and Diagnostic Sciences, assistant dean of graduate studies. Pinto brings outstanding clinical, research and teaching experience to this critically important role. Read the full article about Dr. Pinto's new role.